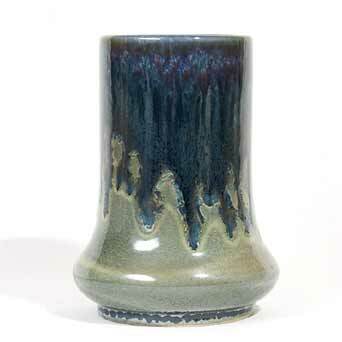 Green/blue Cobridge pot - 6¼" (158 mm) high. 1998. Early experimental piece in the Ruskin style.